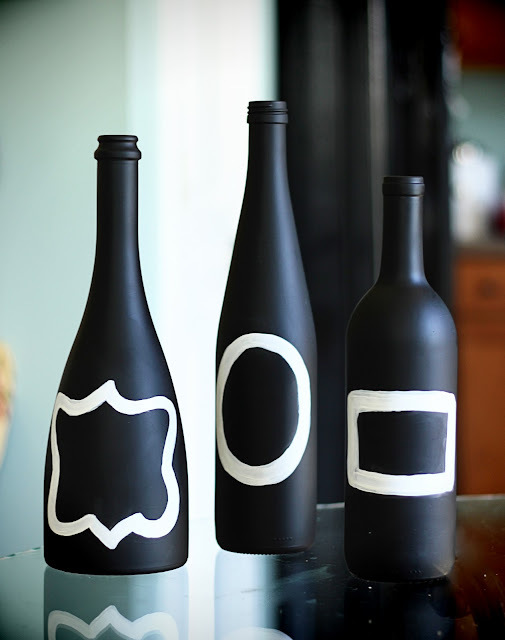 I found these (below) vases on PB Teen and have been wanting to make some of my own for some time now. Then, I found this DIY version on the amazingness that is Pinterest, and was inspired to use wine bottles. Since my lovely friend, Kristen, was in town we tackled this project together. What you will need: wine bottles, spray paint primer and chalkboard spray paint (I used RUST-OLEUM purchased from Home Depot). Step 1: Soak wine bottles in hot water and use soap and a scrubby sponge to remove labels and excess glue residue. Step 2: Dry bottles thoroughly. Step 3: In a well ventilated area (or outdoors) prime bottles with spray paint primer. Let dry. Step 4: Once primer is dry, spray evenly with chalkboard spray paint. Let dry. 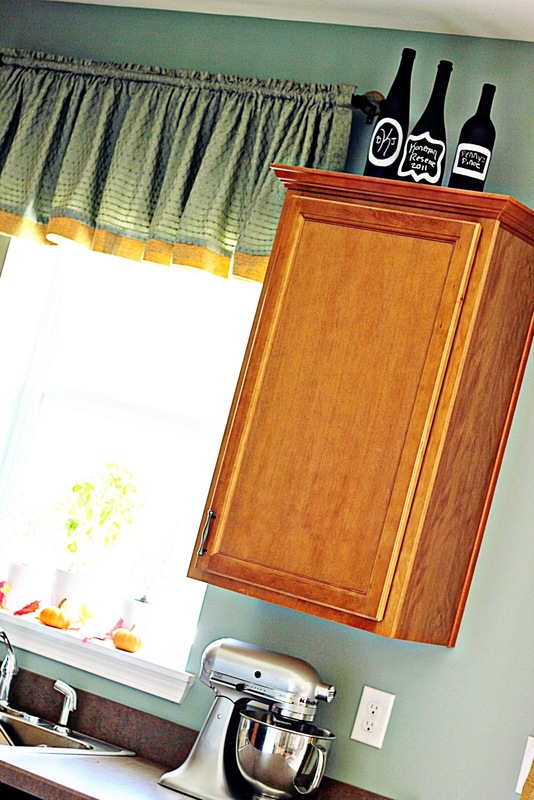 For full and even coverage, spray a second coat. You can leave them just like this, but I decided to hand paint the outline of wine labels on mine with white acrylic paint. I displayed them in the kitchen and wrote (with chalk), "Koneman Reserve", "Penny's Pinot" and our monogram on them. The possible uses for chalkboard spray paint are limitless - I plan on finding some inexpensive vases and bowls, chalkboard spray painting them and giving them as gifts! do you have to use the primer? I bought chalkboard spray paint and it doesn't say you need to...just wondering. I found that the primer gave more even chalkboard paint coverage... Also it helps in the future from the chalkboard paint chipping or flaking. I am sure it would still work without primer thought.